"Creativity is when you use money to find ideas. Innovation is when you use ideas to find money." Learn critical skills essential for enabling innovation in others including creative techniques to elicit ideas. Organizations seek impactful innovation training that goes beyond corporate team building and has a lasting effect on the business. 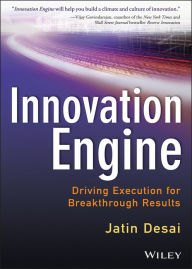 The DeSai Group provides valuable innovation training ranging from executive leadership development programs to Innovation Champion Workshops. 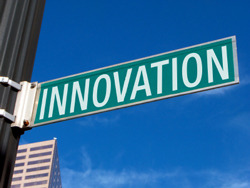 Define and create an understanding of What You Mean by Innovation, and Why it is important. It is within this foundation that you can begin to change the culture and achieve business value and Innovation Success! Our training is grounded in our Innovation Execution Methodology which ensures activity is connected to strategy and appropriate space is given for innovative experimentation. Help your employees engage in innovation activities by showing them that everyone is innovative, just with different innovation styles. DeSai's innovation programs and workshops help teams understand the different dynamics so they can communicate and collaborate, driving innovation. Each DeSai's business innovation workshops and program are focused on your particular organization and situation, dedicated to your company from concept through development, implementation and follow up. For further insight into The DeSai Group's capabilities, attend an innovation web seminar or view our innovation videos on our YouTube channel. Questions? Learn more on our innovation workshops by reviewing our standard offerings on this page or explore our innovation consulting services. Additionally download our papers, catalog or case studies. You can reach us at info@desai.com or 860-233-0011.